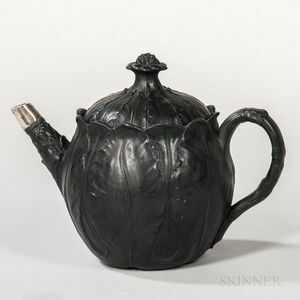 Wedgwood Black Basalt Cabbage Leaf Teapot and Cover, England, 19th century, molded body with a silver spout, impressed mark, ht. 5 3/4 in. Silver spout not original. Cover heavily restored.